Joy and Jeff had us at Bloody Mary then sealed the deal when they said they would be serving Breakfast for Dinner to their wedding guests. Who are Joy and Jeff? Sound familiar? Well you probably recognize them from the amazing photo on the bridge in the snow. We couldn't have planned for a more perfect moment! It turns out their wedding was the same. With black and white polka dotted bridesmaid dresses from The Loft and the sharp classy suits from Banana Republic, the day was sure to be lovely. Joy wore a short cocktail length dress from Candy Anthony (which admittedly I LOVE because my own dress was the same style!) 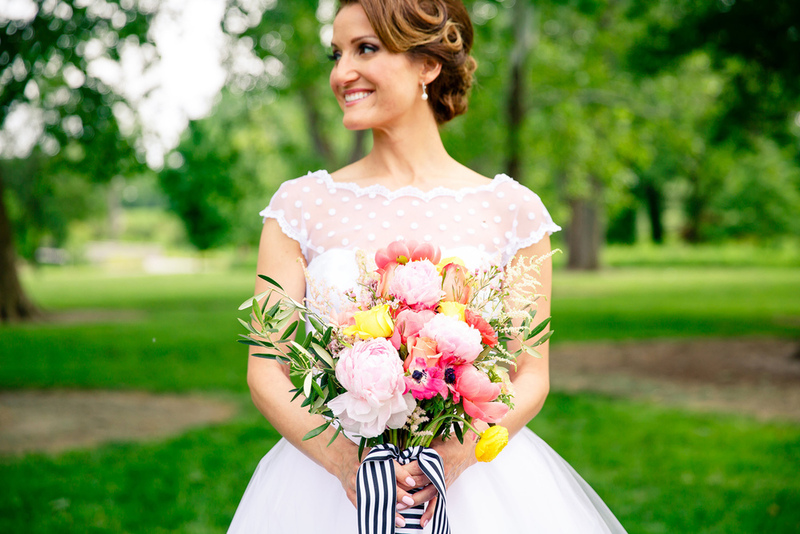 which not only had a touch of pink in the petticoat, but had an adorable stylish polka dotted overlay. 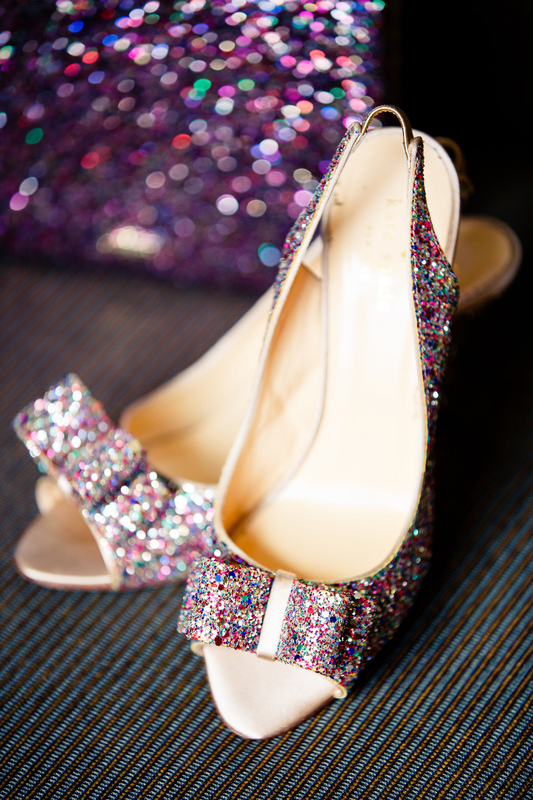 The ultra sparkly Kate Spade heels finished it up beautifully. Her look was vintage and modern all at once. Her flowers were a colorful whimsical hand tied bouquet and it was finished off with a black and white striped ribbon. After Joy and Jeff enjoyed the quiet semi privacy of their First Look (the bridesmaids had to peek!) they headed straight for The Cup in the CWE where they shared a sweet I Love You donned cupcake that just happened to be there, it was wedding fate. Joy wanted to ride the carousel with her wedding party so after the park we headed to the Saint Louis Zoo and made it happen. Her dress was perfect to ride the polar bear and the looks of the children made all of the crowds worth it. The day was a whirlwind of fun and we hadn't even gotten these two married yet! Off to The Muny where we would not only marry these two lovelies, but we would also see them celebrate in a very colorful way over at The Culver Pavilion. After the cake was cut the omelet station was fired up and the breakfast for dinner feat began. Patty Long Catering really outdid themselves on this one. Eggs Benedict, French Toast Compote, an amazing fruit salad, a pile of bacon to make anyone blush, and so much more. Of course they even featured coffee from Mississippi Mud. Amid the black table cloths with pops of bright colors, table numbers made of balloons and brightly colored spheres above, they danced their first dance and it was perfect. 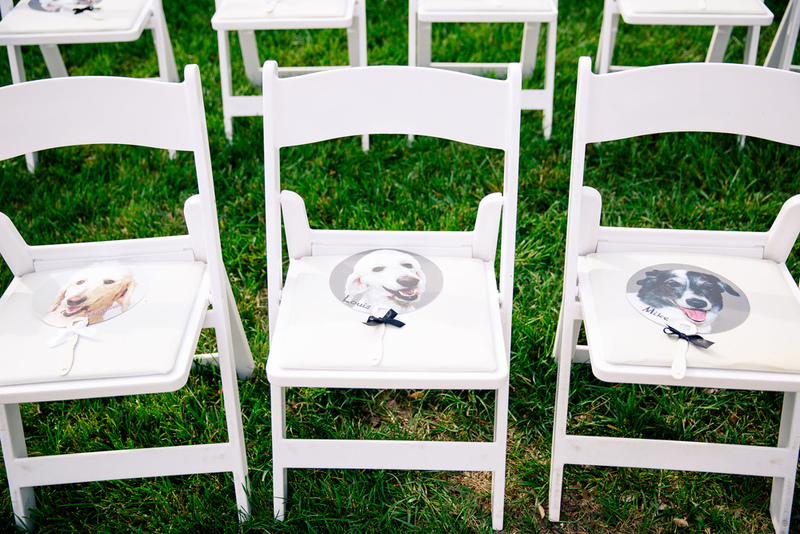 Joy and Jeff, with the help of Kayla from A Bride's Ally, hosted a wedding that truly captured their spirit.